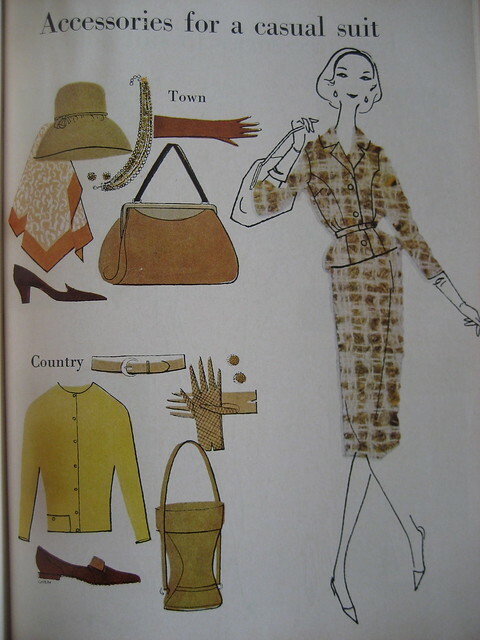 I've been looking through my 1961 Better Homes & Garden Sewing Book a lot lately and finding some really fun illustrations throughout the book. Not to mention a lot of great sewing tips! I was lucky to find a copy at a thrift store for almost nothing. I like these old sewing manuals so much better than the modern ones. I find they have a lot more helpful, not to mention fun, descriptions in them. What are some of your favorite sewing manuals? Like you, I also enjoy the old manuals more than the newer ones. I just got the little book called Dress Cutting...it's all 30's fashions and I'm totally excited to try some of them out! We think alike! I just posted on my blog about this same book and Helen Tanous' great book on pattern making. isaspacey, that is great! love your post on sewing books! looks like you talk about another one i need to check out. betting jed's university library has it. 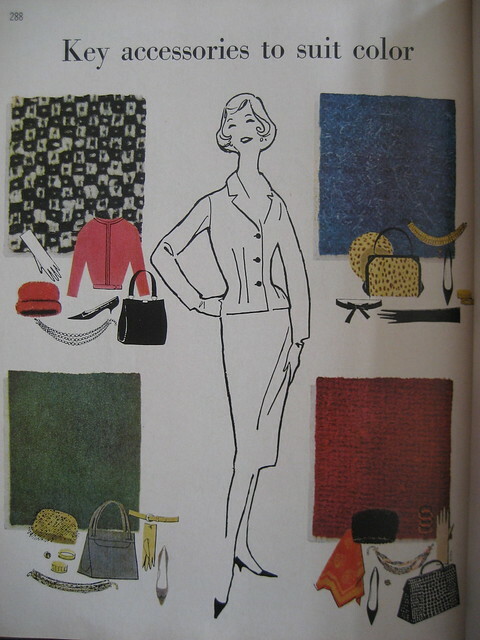 I have a really nifty home economics textbook called "Guide to Modern Clothing". It was published in 1961 and in addition to patterns and instructions, it covers the gamut from grooming to design theory to raw materials. 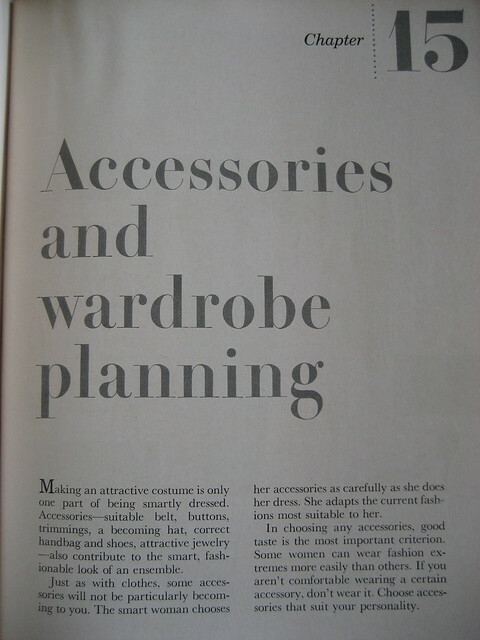 The pictures and styles are so dated but the information is pretty timeless. I really like all of the end-of-chapter homework activities, too. I am now adding a plethora of vintage sewing books to my christmas & thrifting list! 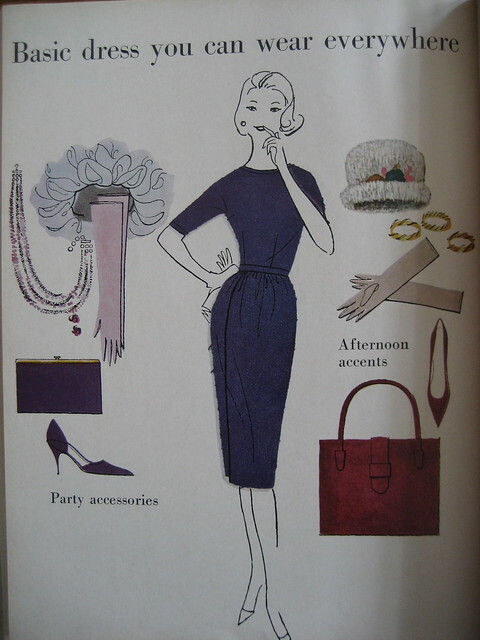 these vintage illustrations are so chic and sweet!